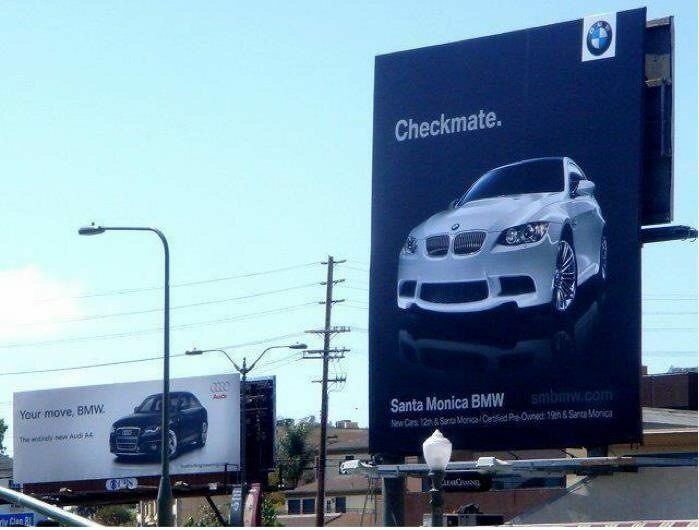 Hertz and Avis fought it out decades ago, it marked the rise of witty advertising that gave credit to the intelligence of the average punter, thank you Bill Bernbach and all you ad pioneers… So this Audi vs BMW campaign is a really nice trip down memory lane for me! Helping family to move house a couple of weekends ago – yes, this is one more reason why I am so inactive on my little blog at the moment – I came across a couple of brand items that struck me as amazing. Player’s Navy Cut (a cigarette brand part of Imperial Tobacco) has had a very different marketing approach than cigarette brands of today. It’s perhaps a bit of a crass example illustrating the importance of keeping your brand current and relevant to trends in the market, changes in technology and in perception. A brand health check is just as important as keeping track of your finances, your insurance, policies and business strategy. And as in most areas, working on your strategy a little bit frequently avoids having to consider a drastic shift in positioning because the brand and its vision have lost their ways. My advertising tutor at Central Saint Martins always talked about ‘ness-ness’ of things, about finding the essence of a subject matter and then visualising it in an engaging and simple manner. (Hello Clive!) Such adverts or brand messages have an innate honesty within them which may be the reason why they are often far more successful than complicated (and convoluted) displays. Which Came First – The Chicken or The Chicken? I know that when you really look hard, everything has been done before in some way, shape or form, and the challenge of creatives is to come up with new and innovative ways to use a set number of visual devices us people are familiar with to communicate in an engaging manner, but it does strike me as strange when a big brand like McDonald’s uses literally the same device as another big brand (albeit in the pet food market) to advertise one of their key products. Looking at the advert for McDonald’s chicken burger, I am not convinced that it actually works as a brand or product advertisement. It is neither here nor there in terms of emotion and message. Surely if you stuffed your face with a chicken burger in a delightful frenzy, the packaging would look worse for wear with eager fingers dipping in? Cat food origami… a bit different… but quite sweet. I know that you can’t always avoid repeating visual devices, in this case origami, and I don’t think there is anything wrong with that as such, if executed in an innovative way or used to tell a new story, be relevant and fresh. Folded message. Not really unfolding well. Looking at this ad for Colhogar, I am not sure the connection with tissue paper for runny noses is really evident. And if you ever tried to actually make origami out of these type of tissues, it is nearly impossible and frustrating because of the softness of the paper (now here is a thought that might actually show a benefit of the paper to the consumer who might prefer the message of ‘too soft to be stable’ for their noses). This Greenpeace advert is another origami example, the connection being the ‘wasting paper kills more than just trees’ but the visual execution is somewhat missing some warmth or depth. This bank’s strapline is ‘multiply your money’ but it beats me why they used birds instead of animals we naturally associate with rapid breeding (rabbits, anyone?). Sport artificial leather to stop animal slaughter – sorry, lost on me! I also don’t quite get this advert for Rexiine House. I don’t even know what the connection is to their brand, what they do, why I should care. Perhaps this is simply an unlucky find because they are an indian company and won’t have exposure here. The adverts below for Western Union also use origami, but I do like what they have done with it. Unlike the ‘multiplying’ advert, they used the essence of the bank notes themselves to create a connection between money transfers and the human aspect as well as the distance and cultural differences. It shifts the brand message from being a financial transaction to being a human interaction. Nicely done. I wonder how the McDonald’s chicken burger campaign will work for them. Perhaps they have planned a whole interactive origami media campaign with in-restaurant tutorials and bespoke packaging with instructions to bring the rather unsubtle copy of the Whiskas adverts to a better live… but why do I doubt that? I mused about this strap line from petrol brand Esso not long ago in this post and when I filled up at the very same station where I first came across the slogan, I had to smile when I saw this new info sheet hung on each petrol pump, advising that advanced fuels are not sold at this station. It’s just one confused brand message in my mind. What do they sell now? Normal fuels? Advanced fuels? And what does the strap line have to do with it all if not the obvious? I wonder who made them clarify – and I wonder how long they will stick with this in my mind saying a lot without saying anything really tag line of Esso. … or so it seems to be in the case of this portuguese ice cream advert. When it comes to photography, the model is just as important as the product – and in a case like this, the pose and gaze they are shot with can really influence and change the message intended. It may not have made us purchase their ice cream, but it certainly made us stop and smile! Of course this is another very subjective matter, but it struck me as odd to see this advert promoting Birmingham City University courses. In my mind, teaching is about communication, facing each other, learning from each other – and in this poster, they seem to be saying that you become the best when you don’t look at each other. It may be that the visual won’t work as well because the lines of the cogs and conveyor belt would go across the eye area of the heads, but then perhaps they should have thought of a different way to show this message. This graphic doesn’t work for me and if anything, the visual makes me doubt that they have the right courses on offer that will be stimulating, engaging and empowering – it just feels wrong, whichever way I look at it. Follow Your Convictions – And Sack the Stylist! There have been a number of blog posts about Bob Geldof’s campaign with Maurice Lacroix and how those two brands go together. They even made a video clip – though in my mind it doesn’t really help change the perception that Bob has perhaps gone for the bucks rather than the ethos. This blog post by merrick describes the moral dilemma rather nicely. There is however another issue in this – one where I question the watch brand’s choice to use Bob Geldof as their ambassador – and the main question why they could not manage to create a better image of him representing their high quality products! Greasy hair, bags under the eyes, unhealthy looking skin, a rather cynical look – the whole poster shouts everything other than individualism, integrity and high quality. Perhaps they are appealing to an audience I do not understand but it would put me off considering their watches as desirable no matter what the price tag. The right kind of image for a luxury watch brand? It might have looked good as an idea on paper, but the result looks more like a badly printed student project. I came across this advert and I think it is another great example for using the language of a brand to get across the brand message. It’s simple, it’s not trying too hard and it even reminds of one of those student briefings for coming up with the essence of a brand and using it to create a memorable ad campaign. Entertaining. And true to itself. I’d never drive one, but if I ever should need a cross country vehicle, I will probably start by looking at their brand. 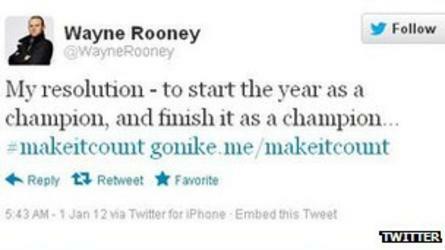 … In the case of Wayne Rooney, some may say that brand personality may be debatable compared to David Beckham or Stevie Gerrard, but he has undeniably an amazing followership on twitter and the brains behind him to make money from his brand. Turns out, a lot of other celebrities have done the same and that kind of endorsement has been debated by the ASA and in the case of a tweet relating to the NIKE campaign, he has been asked to change/remove the sponsored tweet. “This is relatively new territory for us as a regulator,” ASA spokesman Matt Wilson told the BBC. It is an interesting development and perhaps a sign of things to come as commerce exploits people brands as key influencers on social media. It also makes me wonder if such strategies will be a long-term success for both sides; the celebrity and the consumer brand. Either may be taken less serious or be seen in the wrong light when the true motivation behind brand endorsements is made obvious. It does seem a logical way to use influencers to evoke desirability and connect a product or service with a certain status – but in my mind this works much better when it is not as obviously doctored or orchestrated as the Tag Heuer watches ad campaigns. Pure paid brand endorsement by celebrities – always making me cringe slightly because of its contrived nature. On the whole though I agree with Ed Aranda, cited in an article about the twitter endorsement issue, that people should be grown up and wise enough by now to understand those new emerging adverts and to take them for what they are – an invitation to pay to join the tribe of the endorser but by no means any more forcefully than all the other marketing surrounding us daily. If you didn’t know this brand, you’d be none the wiser having read this advert. It is as such a lovely example for why this type of advertising can only work for established brands or those who can pre-empt or follow-up with a campaign that creates the connection and link to the brand and product. It also showcases how it has become common practice for companies to utilise charities to make a statement, show that they care, support and ‘give back’ — the essence of corporate responsibility. For this particular brand it works because it doesn’t try too hard, it doesn’t even attempt to obviously mix this fundraising initiative with messages about their product directly, and it visually speaks the language of the brand, adding to its story and its roots rather than trying to be controversial/contradicting for the sake of some short lived attention. Even in their choice of charity, the brand positions itself among a certain demographic and engages without pushing the product directly. That’s the magic adverts as good as this one come with in the long-run. The Diet Coke brand s on the move. A few months ago it was London Fashion Week. At Boots as a freebie, the lip gloss was one promotion linking diet coke to the world of fashion and beauty. Positioning the brand in the fashion scene. Now it is the launch of the Jean Paul Gaultier bottles for diet coke that is in the news. The ‘Madonna’ inspired designs position the brand as a cool accessory, which reminds me once again of the FiloFax strategy to use a designer to create a special collection for the rather traditional brand. When looking at the different bottle designs and musing over the undoubtedly super versatile history of the brand, I remembered a scene from Strictly Ballroom that may have been the brand’s first exploration of the fashion subject – check out the socks! Almost as eccentric as the ‘The Cure’ Love Song where they have socks hanging up in a cave. Product placement with a touch of fashion... foreboding the brand's strategy of 2012? Here is a video of the whole scene. Obviously unintentionally, in light of the news and fashion hype surrounding the brand this just makes me smile.